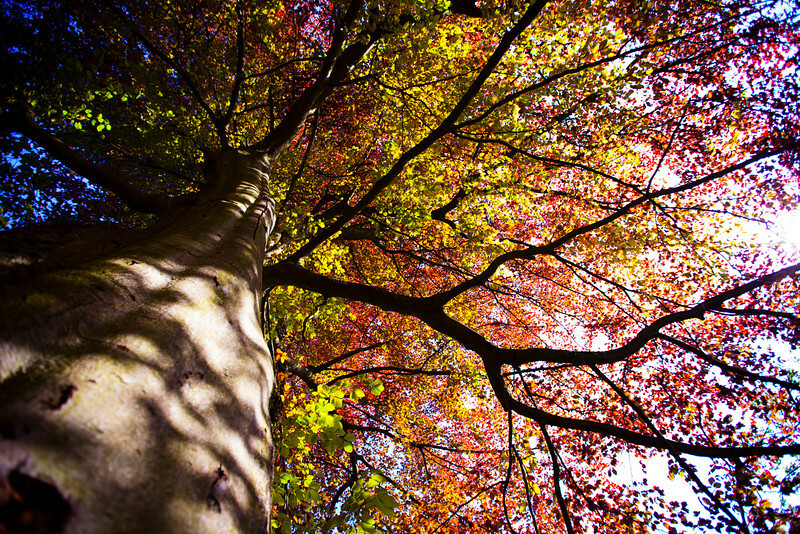 I came across this tree in Spa, a Belgium city famous for its healing hot springs. At first, I was captivated by the colorful leaves, green in the center, yellow in the middle, and red branching out. Then, as I got closer, I was truly able to appreciate the stately majesty of this old tree.